『蒙山和尙六道普說(몽산화상육도보설)』은 원나라의 고승인 몽산화상(蒙山和尙) 덕이(德異)가 중생에게 업인(業因)에 따라 윤회하는 지옥ㆍ아귀(餓鬼)ㆍ축생(畜生)ㆍ아수라(阿修羅)ㆍ인간(人間)ㆍ천상(天上)의 육도(六道)와 성문(聲聞)ㆍ연각(緣覺)ㆍ보살(菩薩)ㆍ불(佛)의 사성(四聖)을 더한 십계(十界)를 설하여 범부의 자리를 벗어나 성인의 지위에 들어갈 것을 권하는 것을 내용으로 하고 있는 불서(佛書)이다. 이 『몽산화상육도보설』은 홍치(弘治) 10年(1497, 연산군 3) 8월에 전라도 진안(鎭安)에 있는 용출산(聳出山) 현암(懸庵)에서 개판(開板)되었다. 판서본의 필서와 새김이 정교하며 새기자 바로 찍어내서 인쇄가 깨끗하다. 불분권 1책의 목판본으로 판식은 사주단변(四周單邊)에 반곽의 크기는 20.1×13.5cm이며, 계선은 없고 행자수(行字數)는 6행13자이다. 판구는 상하대흑구(上下大黑口)에 상하내향흑어미(上下內向黑魚尾)이다. 본문에는 필사한 구결(口訣) 표시가 있고, 난외에도 주(註)가 기록되어 있다. 표지는 선장(線裝)으로 개장(改裝)되었고 보존상태는 표지와 판심부분의 마멸·훼손(磨滅·毁損)을 제외하면 비교적 양호한 편이다. 종래 알려진 조선전기의 세종 14(1432)년 판본, 성종 21년(1490)의 황해도 서진지 자비령사판본(黃海道 瑞眞地 慈悲嶺寺版本), 중종 4년(1509) 대광사판본(大光寺版本) 등의 수암(殊菴) 필서본과는 달리 이 『몽산화상육도보설(蒙山和尙六道普說)』은 1497년(연산군 3) 8월에 전라도 진안에 있는 용출산 현암에서 간행한 목판본으로 정교하고 인쇄가 선명한 점에서 판각 후 초쇄본으로 판단된다. 권말에는 간행기록과 함께 시주자 명단과 연판(鍊板) 및 각수(刻手)가 명시되어 있어 조선 전기의 불교학 및 서지학 연구에 귀한 자료가 된다. 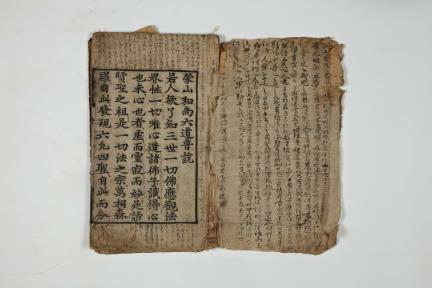 Mongsanhwasang yukdoboseol (Preachings on Six Realms by Buddhist Monk Mongsan) is a book in which the Mongol monk Mengshan Deyi explains the six realms in which a sentient being may be reborn according to the karma he/she has collected – namely, the Hell Realm, Realm of Hungry Ghosts, Animal Realm, Realm of Asura, Human Realm and the Realm of Devas – and the ten realms which add the Sravaka (Sound-hearer Arhat), Praetyka-Buddha (those enlightened to conditions), Bodhisattva and Buddha realms to the six realms, encouraging those on the quest for enlightenment to reach Buddhahood. 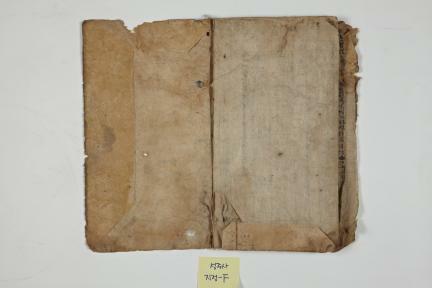 This copy of MongsanhHwasang yukdoboseol was printed in 1497 (the third year of King Yeonsangun’s reign), in Hyeonam Hermitage in Yongchulsan Mountain in Jinan, Jeollanam-do. The carving of the woodblocks took place with funding from donors including Kim Ik-hui, Kim Bok-san, and their spouses. 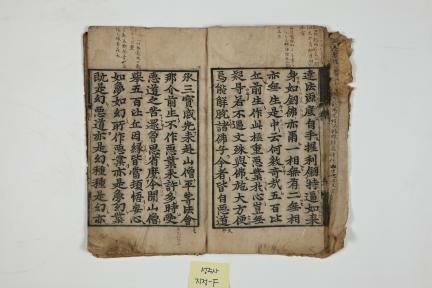 The woodblocks were softened before carving by Gyeongji, and Uigyeong was in charge of carving. 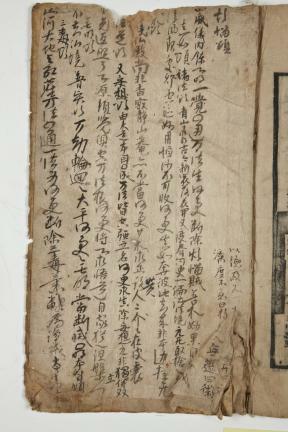 Twelve persons including Hail and Uigyu are also mentioned as donors toward the printing of this book. The characters, carved with precision, are easy to make out, and the quality of printing is very crisp, as the book was printed with newly-carved blocks. 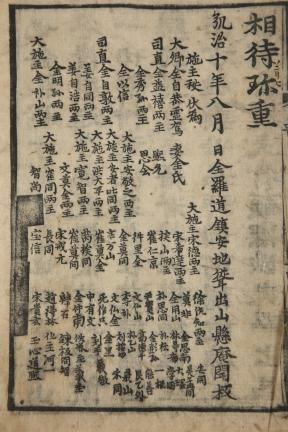 This woodblock-printed copy is the first volume of this book. The leaf has single-line borders on all four sides, and the half leaf measures 20.1cm by 13.5cm. The leaves are unlined, and each of them contains six lines of thirteen characters on either side. A thick black line is drawn in the fold of each sheet with two black fish tail designs at the top and bottom of the fold. 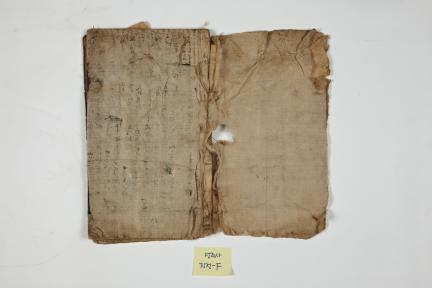 There are hand-written gugyeol markings in the text, along with notes, some of which are present also outside the text area. 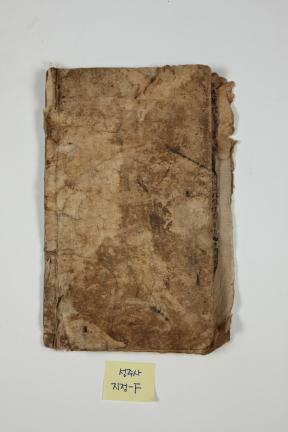 The cover page is thread-sewn, and the book is in decent condition except for the spine. 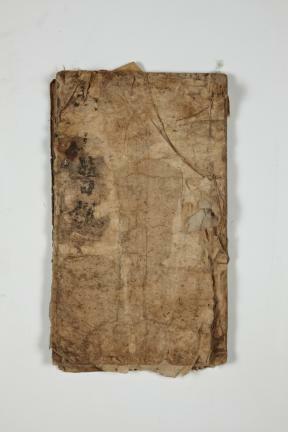 This copy is of fine quality, especially compared to other such copies as the early Joseon copy from King Sejong’s reign (1432, the 14th year of King Sejong’s reign), the Jabiryeongsa (Seojinji, Hwanghae-do) edition of 1490 (the 21st year of King Seongjong’s reign) and the Daegwangsa edition of 1509 (the fourth year of King Jungjong’s reign) – all of which are based on the manuscript written in the hand of the monk Suam. 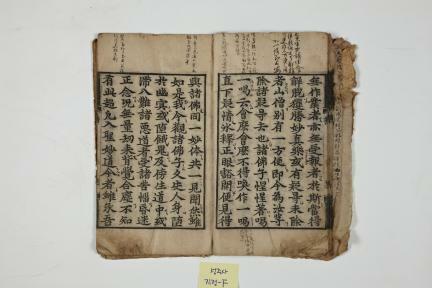 The very clearly-printed text suggests than this copy was the first print of newly-carved woodblocks. 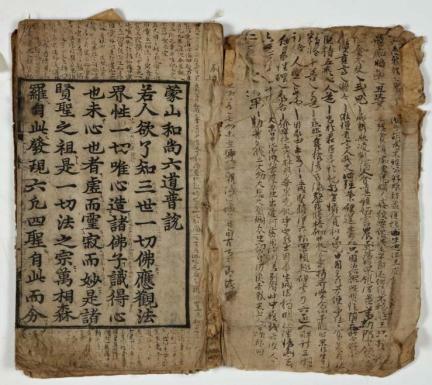 The complete publishing information provided at the end of the book, including the names of donors and artisans, makes this book extremely valuable for the understanding of early Joseon Buddhism and bibliographic research into this period.